Last weekend Michael Jordan got married and celebrities such as Tiger Woods, Spike Lee and Patrick Ewing were amongst those who turned up to celebrate with the NBA Hall of Famer in Palm Beach, Fla.
On Sunday Jordan’s manger Estee Portnoy said that Jordan has married the 35 year old, former model, Yvette Prieto. 50 year old Michael Jordon owns the Charlotte Bobcats a basketball team which plays in the NBA’s Southeast Division of the Eastern Conference. They are currently placed fourth in their division. There were almost 300 guests present at the wedding, the reception took place at a private golf club in Jupiter which was designed by Jack Nicklaus. There was entertainment provided by DJ MC Lyte, singers K’Jon, Robin Thicke and the Grammy Award winning Usher as well as The Source, an 18 piece band. Jordan and Prieto met five years ago and have been engaged since last December. 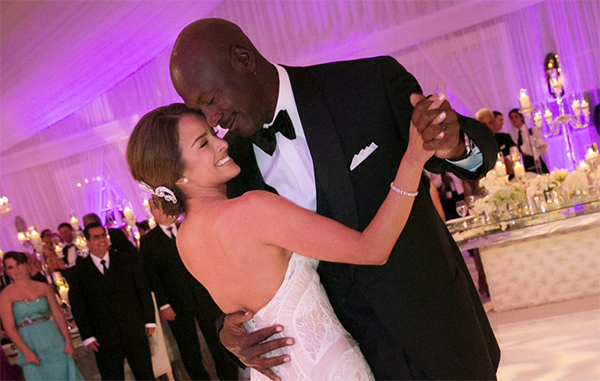 Jordan already has three children from his former marriage to Juanita Vanoy, the couple were divorced in December 2006.